In short, digital writing is simply technical writing using technology. Because technology changes rapidly and people widely use digital writing in the world — in example, e-mails, text messages, blog posts, etc. — it is hard to define exactly what it is. (I can also say like that "Nowadays, the Internet has changed our writing. There are more and more people begin to write every day, including e-mails, text messages, blogs, online forum, etc. More and more people choose to write, writing also begins in the form of diversification.") That said, we can figure out how the digital writing affects our lives, as well as how to use it appropriately. Digital writing helps people communicate effectively in our society. Digital writing is the fastest method of communication between people online. The communication can be quiet and private, or loud and public, depending on the ways people use it. This difference in the styles of writing differentiates between informal and formal writing. Digital writing that is generally unrestricted and allows freedom for the writer to express his or her own opinion(s) is informal writing, such as Twitter or Facebook. However, opinionated writing is common online, and the medium of digital writing allows the author freedom to write as formally as they please, whether that be through a personal blog or contributing to a popular forum. Today, people use informal writing in these circumstances quite frequently and daily. Otherwise, the digital writing is used formally, in a situation such as a business website, a school home page, or online press. Digital writing is the fastest method of communication between people online. Digital writing is more than just a skill; it is a means of interfacing with ideas and with the world, a mode of thinking and expressing in all grades and disciplines. The ways we write in academic and scientific settings are very different from the ways we write to our friends, family, or close one. Language, tone, diction, vocabulary, and grammar, all change as the occasion changes. Therefore, when people try to use digital writing, they should decide to write formally or informally depending on the situation they are involved with in order to use digital writing rhetorically so that the writers communicates properly with the audience without any misunderstanding. Since digital writing has become so popular throughout the last decade there has also been an upward rising in online communities. These are places on the internet that people with common interests can communicate. It gives a person an outlet to voice their opinions on different topics and through digital writing lets them get other people's perspectives on the same topic. What can I learn from this Wiki? 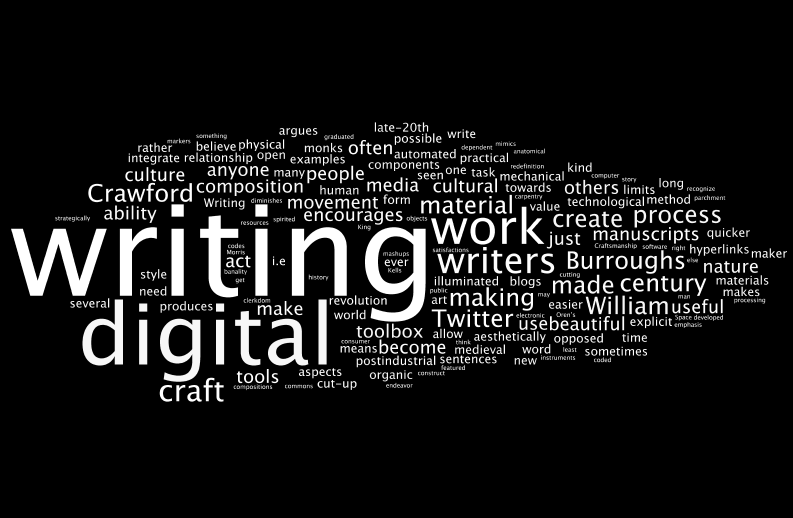 Our wiki provides a number of different articles covering multiple genres of digital writing. These articles include information on both blogs and forums, demonstrate effective digital writing, and will even help you learn how you can effectively contribute as well. Each article uses clear examples and lays out the criteria for effective digital writing to help you become an experienced user of blogs and forums.